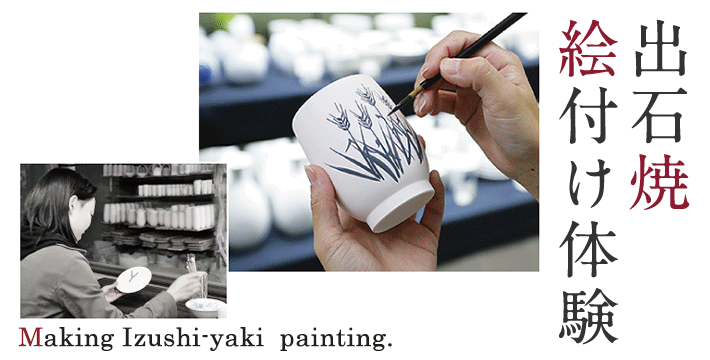 Would you like to make Izushi-yaki (porcelain) painting for yourself ? Izushi-yaki (white porcelain) is known for its translucent white color. It dates back from the early history of Japan. The ceramics are fired with a pure white material called Kakitani pottery stone, and renowned for its mysterious whiteness. Its very fine sculptural works with silky surface finished by the potters’ sculptural techniques are designated as a part of national traditional crafts products.